The first edition of the workshop will be held at India Habitat Centre, New Delhi on June 22nd, 23rd and 24th, 2016. 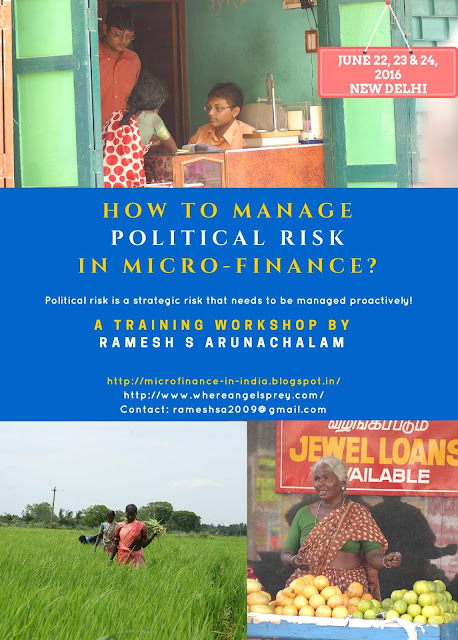 Given the huge importance of political RISK in microfinance, further editions of the same/adapted course is likely to be held in India and globally! 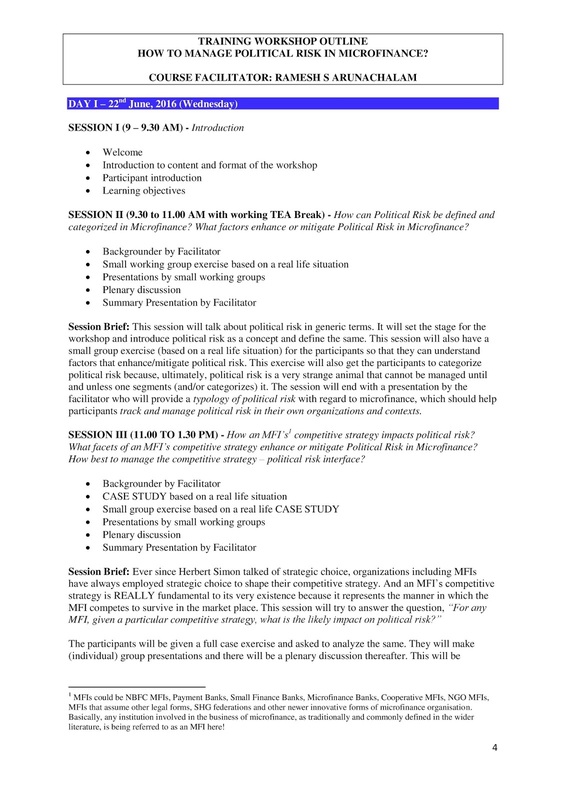 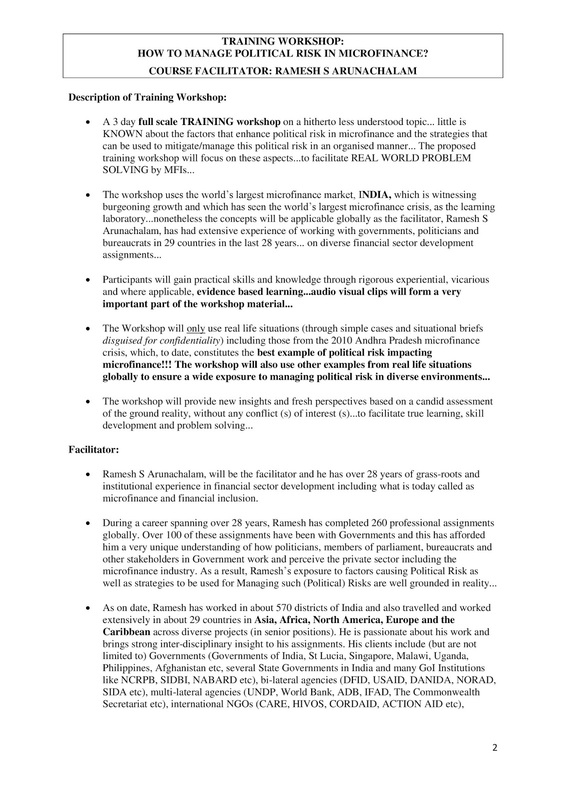 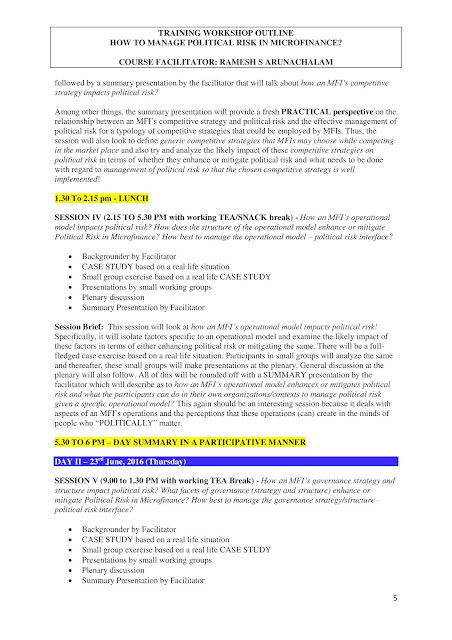 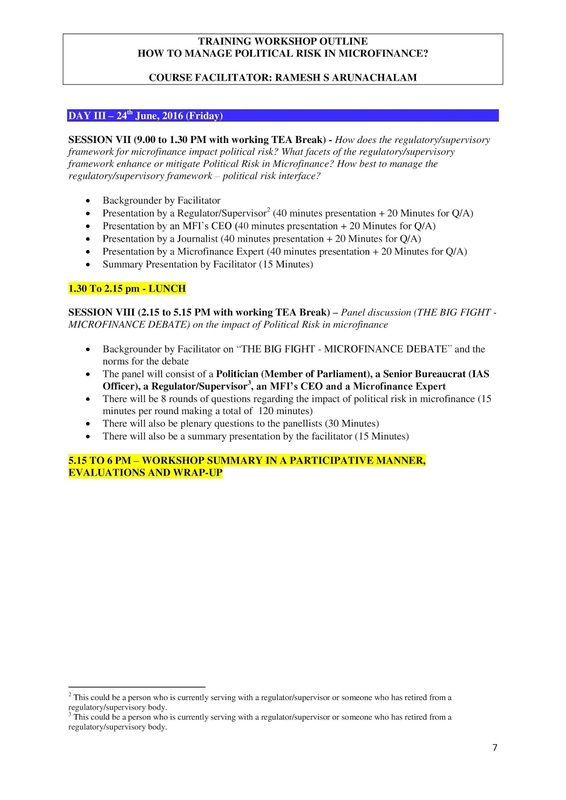 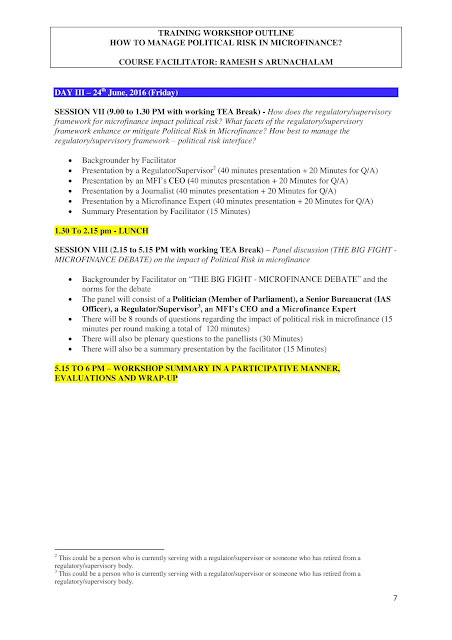 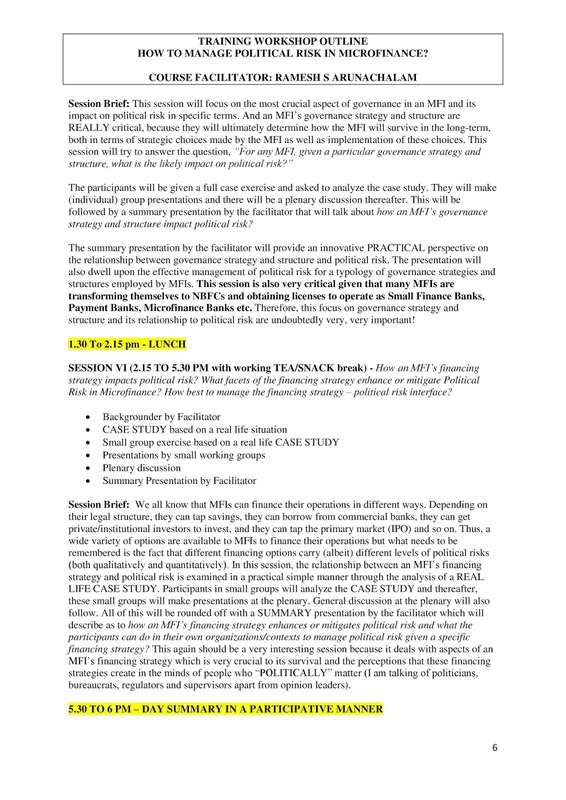 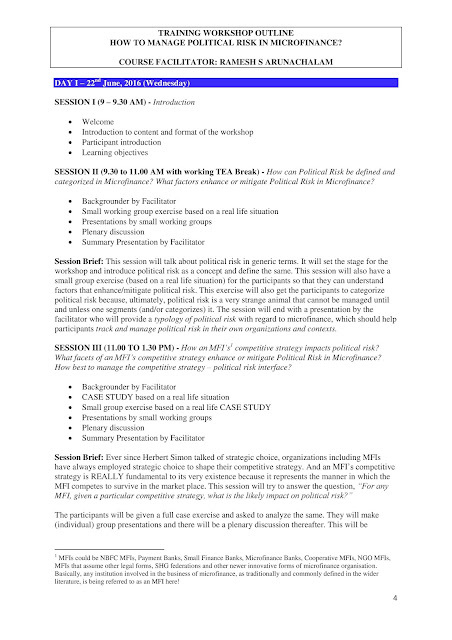 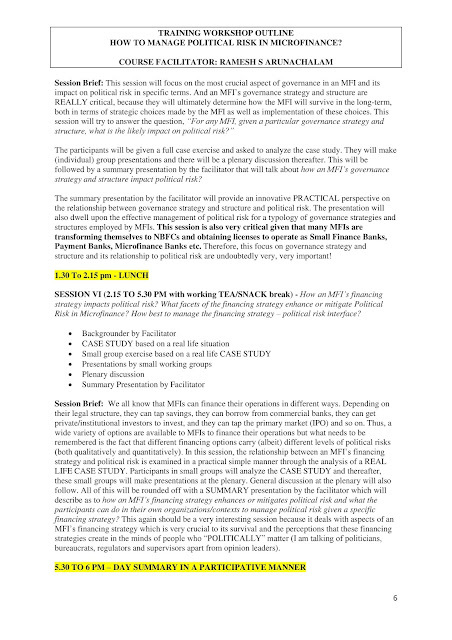 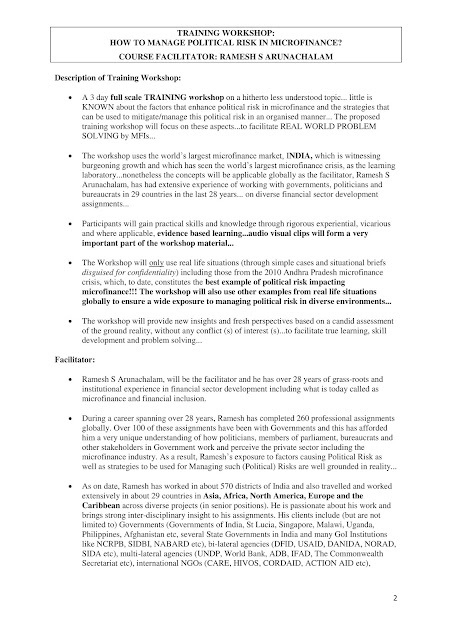 Attached is the WORKSHOP brochure and as you can see from the workshop outline, it promises to BREAK fresh ground on managing political risk in microfinance, which is indeed a STRATEGIC RISK that has to be tackled properly and effectively! 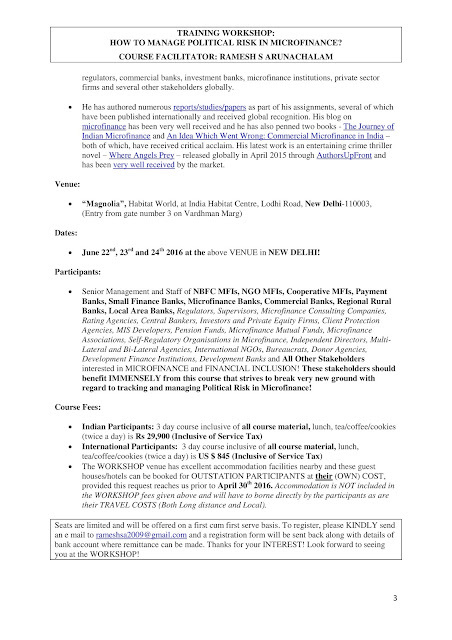 Look forward to your participation and kindly forward this to stakeholders who may be interested.